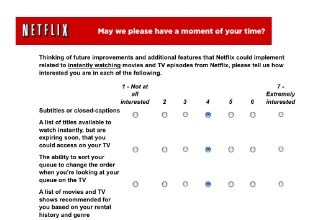 Dave Zatz: Looks like Netflix is once again soliciting feedback via a branching web-based survey. Dave Zatz: Randall Bennett, who you may recognize from Engadget and CNET, has independently launched an online video show called TechVi. In addition to hosting a panel riffing on recent tech events, Randall landed his first interview early this week with Boxee CEO Avner Ronen. Will online streaming kill the best new show on TV? Mari Silbey: It takes money to distribute video online – encoding, storage, management, and actual delivery – which makes short work of the dollars online advertising and download fees do bring in. Let’s get cumulus: Your Cloud or mine? Dave Zatz: At CES, I spent some time checking out the promising Pogoplug ($80) – which is both a device and a service. The small Linux device, available next month, turns any USB drive into both local and remote networked storage.